Happy Monday all, welcome back! 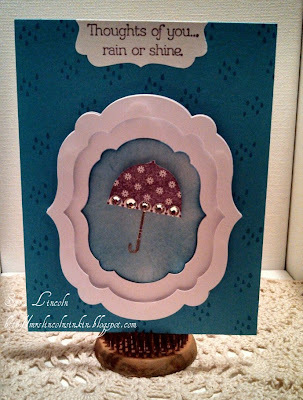 Today's card is a Sneak-Peek:) I am using a stamp set that is from the new Spring Catalog (ordering not available until January 3rd! Isn't it adorable?!?!?!? This new catalog you are just going to love!! Want to order the new catalog so that you can see all the wonderful things that are available? Well click HERE to contact me and place your order for the new Spring Catalog! 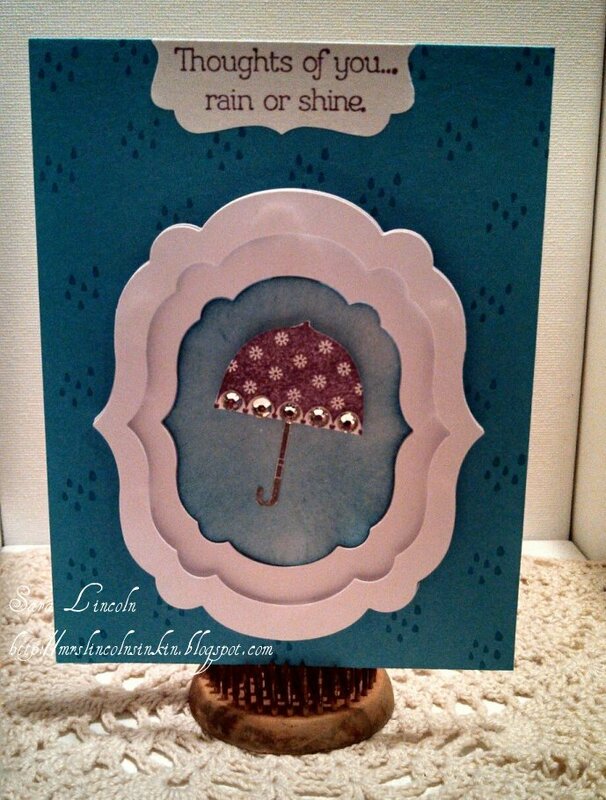 To outline my umbrella i used the Framelit Labels and did a 3D dimensional look with them. The Framelit Dies are also the product that i want to highlight today. These dies are absolutely amazing and you can do sooooo much with them.